This three-story building was originally built as Washington Hall in 1847. It provided meeting space for many social organizations, including the Independent Order of Odd Fellows, whose symbol can still be seen above the front door. 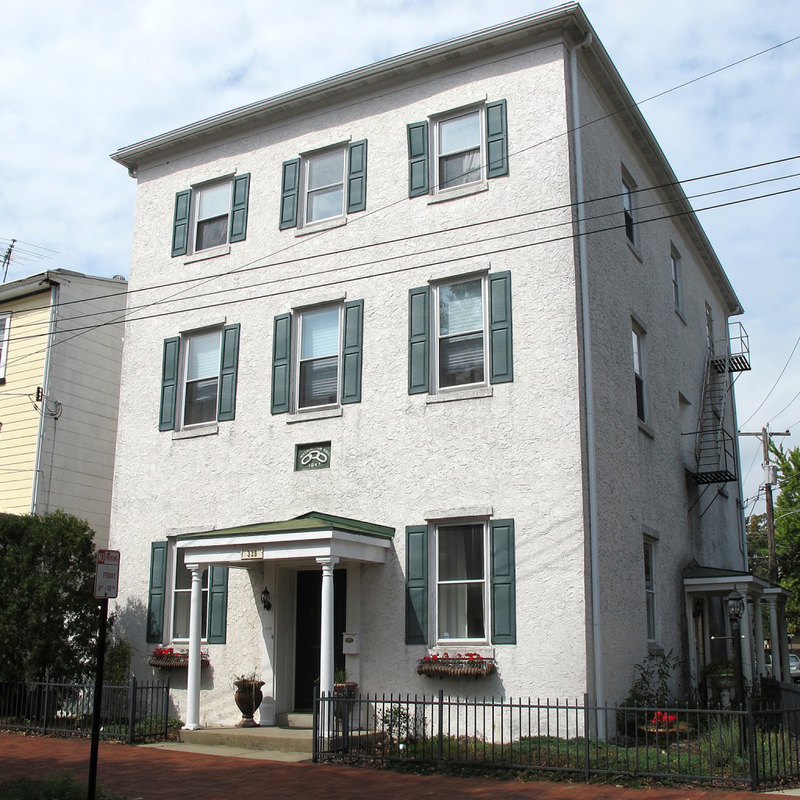 Bristol’s first newspaper, The Bucks County Gazette, started by Benjamin Franklin’s great-grandson William Bache, was published for many years on the first floor of this building. Washington Hall also once served the parishioners of St. Mark Catholic Church while their place of worship was being rebuilt after a fire in 1867. At present, it is a private dwelling.